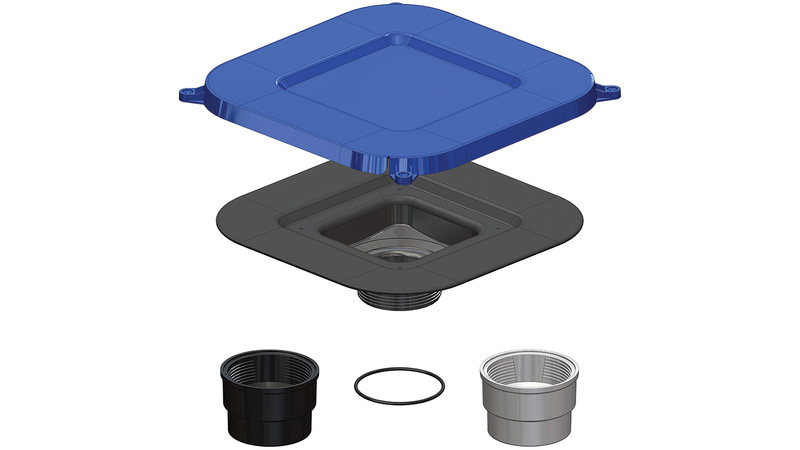 The universal design of the USG Durock Brand Shower System Drain Kit Assembly simplifies installation. It features a nonwoven fleece on both the top and the bottom of the integrated bonding flange. The fleece is co-molded with the ABS drain body to ensure the highest possible permanent bond.